I’m presently in Bali for business and pleasure. I’ve taken up surfing, and the challenge and difficulty reminds me of the learning and teaching process for mastering music. I almost talked myself out of it. Am I getting a bit old for this? Isn’t surfing for younger, more agile people? Learn new things! It’s great fun, good for the soul and the brain! On my first ‘surfing’ day, I decided I would teach myself, and thus spent 90-minutes flailing (and failing), bemoaning my lack of balance, strength, reaction time. Evreything I knew of that was required to succeed as a surfer, I was coming up short. I considered giving it away – the indication was that I didn’t have the skills. Lesson #2: we can give up on challenges too quickly before exhausting all avenues for improvement. For some reason, we expect skills to emerge without the due process required. But failure is more likely to derail effort and perseverance when we assign our limitations to a lack of natural disposition, rather than a belief that skills are acquired with effort over time. What’s more, I almost succumbed to that vague and insubstantial copout “you tried and did the best you could.” Taken as permission to stop trying, people who accept this almost always under-achieve. For one, it’s easy to ascribe this thinking to tasks that challenge us. I reflected on my sagging surfer self-efficacy. You see, I’m trying to live more of my life as a ‘growth mindset’ practitioner. I am convinced that achievement is determined by the quality and quantity of one’s effort rather than any alleged natural disposition. Ironically, the business component of my trip has me instructing teachers about the educational impact of different mindsets. I really should walk the talk, so with renewed determination not to giveup –yet – I booked a surf lesson for the next day. My initial response to being such a lousy surfer after day one took me by surprise, possibly because I meet so many people who desire to sing or play music, but say they can’t, and yet don’t consider lessons or practice as an improvement tool. But here I was, embarking on my first surfing lesson, and for 2 hours! The theory part began on dry land. My instructor, Putra, was to teach me the sequence of events required to stand, balanced on a moving surf board. Essentially this meant 1) body placement lying on the board 2) hand paddling position 3) hands under chest for push up 4) feet position, and 5) body crouch and weight transfer. Putra asked me to watch his demonstration closely. Rather than verbalise, he modelled slowly and carefully, in defined ‘chunks’. He modelled the same movement several times, (modelling once is never enough), before inviting me to copy. When I copied correctly, he had me repeat it several times before continuing. In surfing, this ‘stand-up’ action must be singlular and quick. There is no time to think about the mechanics or technique. This is familiar to music teachers, as virtuosic music demands some of the most skillful co-ordinated sequences of movements in human capability, requiring repetition to automate physical actions. In music, most learners stop repeating a target phrase when they get it right the first time when they should repeat significantly more. This strengthens the neural circuitry assigned to the skill set, enhancing automatic recall. Lesson #3: whether it’s surfing, music, or any co-ordinated skill, the fundamentals of teaching and learning are common. “You must plant the back foot first, perpendicular to the direction, and then the left, then crouch” – and so on. He didn’t utter comments such as “that was great” or “not right”. These are ineffective because they give little or no information on correct and incorrect learning processes. This is one of the porblems with praise. People think praise encourages but most praise achieves little. Lesson #4: to make progress, learners require clear, accurate, consistent, and quick feedback. Then after the third disaster, I didn’t fall off at that stand-up stage for the remainder of the lesson. I had gotten the hang of this! I did fall off in the process of riding the wave, as I experimented with turning and shifting my weight, but my progress was visible and my confidence grew. Eventually I was riding (small) waves to the beach. So much fun! No wonder progress is THE great motivator. It’s a wonderful feeling to improve. Lesson #5: we all have a capacity to learn new skills and to get better at what we do. It requires quality instruction, a quantity of effort on our part, and a growth ‘can do’mindset encapsulating patience, perseverance and a little doggedness. With this attitude, combined with effort and quality feedback, progress and improvement is obtainable. Michael Griffin, November 12, 2016. Postscript: I was out again this morning. Rather than a lesson, I surfed by myself. Not as successful today! Tired muscles made it difficult to propel myself forward and then get up quickly. I also found it difficult to pick the right waves to go for, and catching the wave at the right moment. So much to learn! Progress not necessarily linear (like with music) so be patient and look for signs of incremental progress. On a positive note, I know why I wasn’t good today. Conscious incompetence is vital. Will have another lesson tomorrow before I fly home. “A truly masterful book. Especially impressive is the manner in which Griffin offers a wealth of practicing strategies, all supported by evidence that makes clear why these strategies will be effective. He has done extensive research in many areas and has found ways of organizing and presenting his findings in a clear and cogent manner. As I was reading, I found myself nodding in agreement and underlining copiously throughout. This book is a must read for all teachers and students. Bravo!” Paul Sheftel – Julliard School, NYC. Australia: Contact mdgriffin63@gmail.com for direct mail. 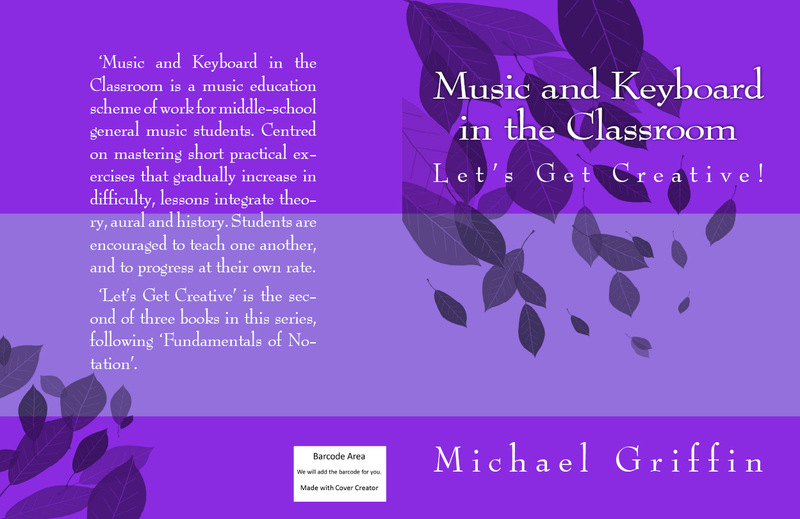 Music and Keyboard in the Classroom: Let’s Get Creative! is the fun and creative extension to ‘Fundamentals of Notation’. Second edition. Bumblebee! 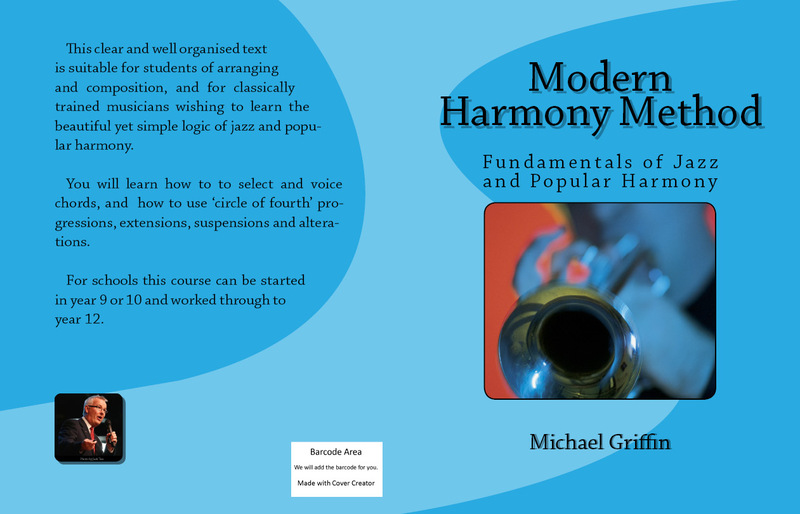 is more than just a wonderful collection of 130 choir exercises and rounds. The author shares timeless wisdom to help you get your choir – primary or secondary – into shape. 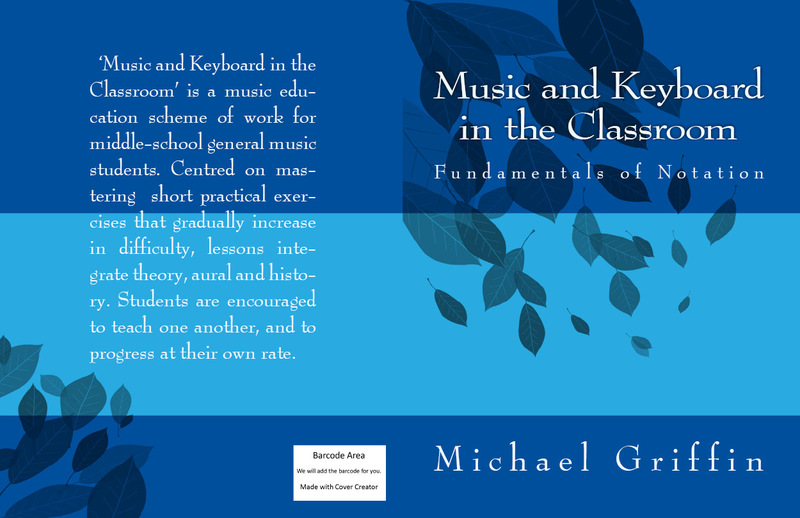 “Will prove useful for almost everyone”- Rhinegold Music Teacher Magazine. Public speaker, music education trainer, conductor and pianist. 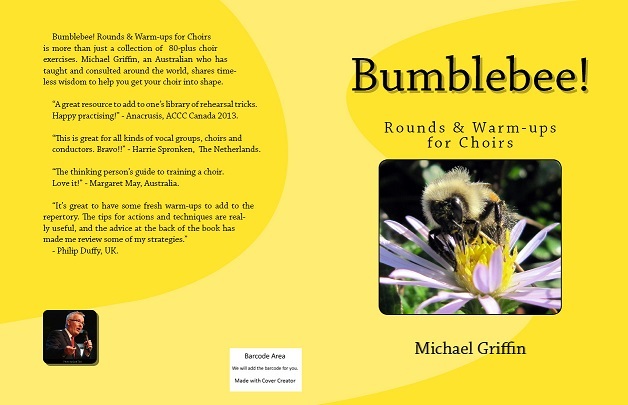 Author of 'Learning Strategies for Musical Success', 'Bumblebee: Rounds & Warm-ups for Choirs', and 'Modern Harmony Method'. Thank you! I am a music teacher and love learning – kick boxing, tennis, etc. An excellent and entertaining read. Thanks for sharing! I am adding all the books listed here to my library. Did you like the books, Gayla?